Are you struggling with substance abuse or a mental health disorder? Have you considered enrolling in a treatment center, but are unsure of the differences between inpatient and outpatient programs? The IAFF Center of Excellence is staffed with a team of professionals who can answer any questions and give you the information you need to make the right decision. When it comes to treating drug addiction and mental health problems, there are several levels of care, including inpatient and outpatient. For example, since substance abuse problems have a wide range of acuity, not everyone needs to complete every level of treatment. At the Center, levels of care are generally step-down programs that decrease in intensity as your symptoms decrease. Both inpatient and outpatient programs have important benefits, helping you heal from your addictions and mental health disorders. With a variety of proven treatment programs available, you can have all the tools you need to begin your recovery. The IAFF Center of Excellence offers inpatient residential care to accommodate various needs of IAFF members. Inpatient care is the highest level of care and is available for substance abuse and complex mental health problems, such as PTSD, depression and anxiety. This level of care is typically recommended for individuals who are coping with severe addiction or psychiatric symptoms, who may present imminent danger to themselves or others, or who are temporarily unable to care for themselves and require 24-hour support. For IAFF members with substance dependence, the care continuum begins with inpatient medical detox, which involves flushing out any lingering toxins (drugs, alcohol, etc.) from the body. After detox, patients transition to inpatient residential care until they no longer require 24-hour supervision. Inpatient residential care can last from 30 to 90 days, depending on clients’ needs. While in the inpatient program, Center of Excellence staff help individuals develop recovery and life skills, as well as coping mechanisms. The program also includes various forms of therapy and counseling. After inpatient care is completed, Center staff perform a comprehensive evaluation of each client to determine if they can safely progress to the next phases of treatment — partial hospitalization and outpatient care. Outpatient care follows inpatient care, and may include an interim level of partial hospitalization care. Unlike inpatient treatment, the Center’s outpatient levels of care does not require clients to stay overnight. 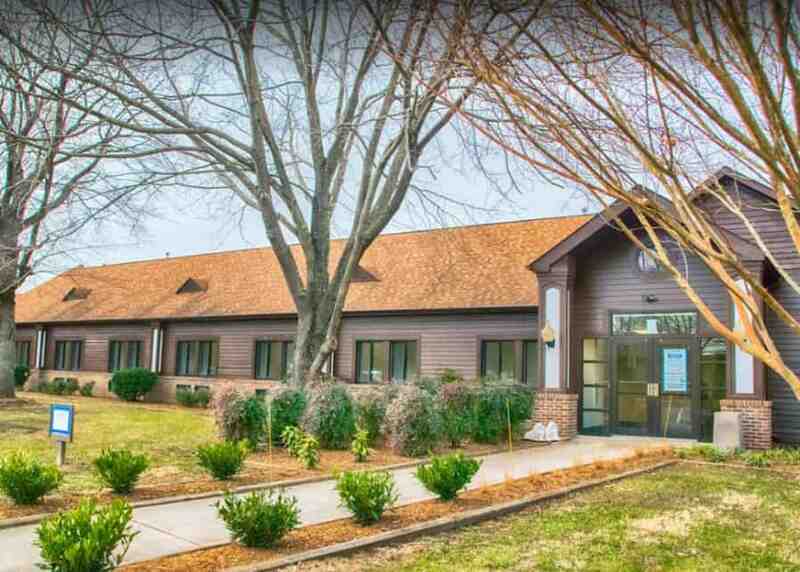 The Center offers a Partial Hospitalization Program (PHP), Intensive Outpatient Program (IOP), as well as an Outpatient Program (IOP), depending on the needs of each client. These partial levels of care are intended for individuals who have already gone through detox and inpatient care, and are able to safely spend time at home or in onsite residential living quarters. Clients work on developing a support system, as well as effective coping skills. Clients come to the Center for IOP and OP services for a set number of hours per week, allowing them to still work and handle their other responsibilities. Comparable to inpatient care, the Center’s outpatient programs include therapy, counseling programs and treatment for co-occurring mental health disorders. After outpatient care is completed, clients can transition to aftercare, which provides encouragement and continued opportunities to maintain their sobriety and stay in recovery. The IAFF Center of Excellence is staffed with a team who wants to help you lead a life that’s not driven by addiction or mental illness. Call today to speak with someone about your struggles and treatment options, and start your recovery.